Marketing leaders from the tourism, banking and FMCG sectors have taken out top three honours in the fourth-annual CMO50 for 2018. The CMO50 annual list recognises Australia’s most innovative and effective chief marketing officers driving impact within their organisation. The program is sponsored by Adobe. Now in its fourth year, the list reflects those demonstrating innovative, strategic thinking, driving business change and commercial success, showcasing modern marketing leadership, and enabling greater collaboration and better customer engagement as a result. The top spot for 2018 was taken by Tourism Australia CMO, Lisa Ronson, making her third appearance in the CMO50 and her first in the top 10. Ronson’s three-and-a-half years with the tourism body is a true CMO evolution story, culminating in the launch of the highly successful US Super Bowl campaign, ‘Dundee’. “I kept firm to my belief that as marketers, we need to back ourselves when we have a great strategy and team,” Ronson says of the ambitious $36 million US market push. “We needed to reorient all our budgets, in all markets. Everyone had to get lockstep behind me and support me, and make sure we worked together on risk registers, rebudgeting and so on. This week sees Tourism Australia launch the second stage of the Dundee campaign, building on what has been at least $85 million in value to date. Coming in second on the CMO50 list for 2018 is Westpac chief digital and marketing officer, Martine Jager, who took on the digital function in addition to her significant marketing function 18 months ago. 2017 was a huge year for the marketer and her team, celebrating the 200th anniversary of Westpac in Australia. Cross-functional efforts to mark the milestone led to Westpac’s largest ever series of marketing-led initiatives, showcasing a commitment to helping all types of Australians. “Stakeholder buy-in was only possible through ensuring every initiative aligned back to our service promise and gave back to our people, customers and communities,” Jager says of the work. Jager is one of the many marketers who’s living proof of marketing demonstrating its ability to impact the bottom dollar. Rounding out the top three was new entrant to the list, The a2 Milk Company’s global CMO, Susan Massasso. Yet another of those who’ve stuck it out in her role (five years and counting), she’s again a clear example of how marketing can completely turnaround a business and drive growth. Overall, if there’s one big lesson to take away from this year’s CMO50 list, it’s this: Marketers must have the courage of their convictions to survive in their jobs. If there’s a second, it’s building solid foundations inside and outside the marketing function is absolutely vital for not only seeing those convictions through, but doing the job with aplomb. CMO50 judges were impressed by the demonstrable strategic leadership and thinking behind submissions presented this year. There’s less campaign and more customer focus, for one, and questionnaires overflowed with compelling customer-focused initiatives and activities in the last 12 months. Across the top 50, 93 per cent are members of their organisation’s executive leadership team, up from 84 per cent in 2017, and just shy of eight in 10 report directly to the CEO/MD. Notably, the 2018 CMO50 list boasts a higher tenure on average – three years and seven months. Importantly, if you look at total tenure based on organisation rather than job function, the average across this year’s leaders sits well over five years. As leaders of change, CMOs are in the hot seat for demonstrating adaptability and resiliency. This year’s listees have made huge strides building these attributes across their functions as well as their wider businesses. And it’s arguably by seeing change through the CMO50 have proven their mettle the most. 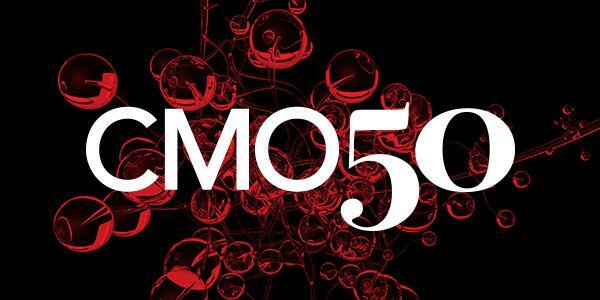 You can find the full CMO50 list, along with detailed profiles of this year’s most innovative and effective marketers, in our dedicated CMO50 portal.